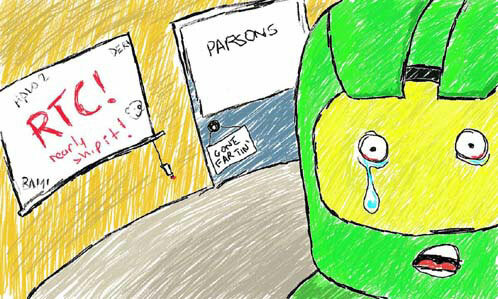 Parsons: You’re never really excited when you first learn that a leak happens. Then you get to see the reaction. We had this really quick thing. We said, “There’s a leak happening. We can either say nothing, or we can say, ‘Yeah.’” Instead of looking at images that we didn’t want you to see, let’s give you one that we want you to see. So, we released the picture of the Fallen. GamesBeat: The one thing that seemed to cause some confusion out there was whether this could be called an MMO or if this is more like a single-player campaign-ish thing. Is there a new name for whatever this will be? “Universe” is a little vague. Parsons: It’s Bungie’s next first-person shooter. That’s how I think of it. For consoles, we came out with Halo, and it certainly was the start of something really big for first-person shooters. Then, with Halo 2, we brought it online. With Halo 3, we started to bring in a whole bunch of how the community interacts with each other. We want to take the next big step forward in first-person shooters. The way we think about that is, we’re going to bring people together in a really interesting way. We’re going to be able to throw in a whole bunch of adventure and a whole bunch of competitive multiplayer, and you’re going to have a great time, whether you like to play by yourself or whether you play in groups, from intense to casual to solitary.